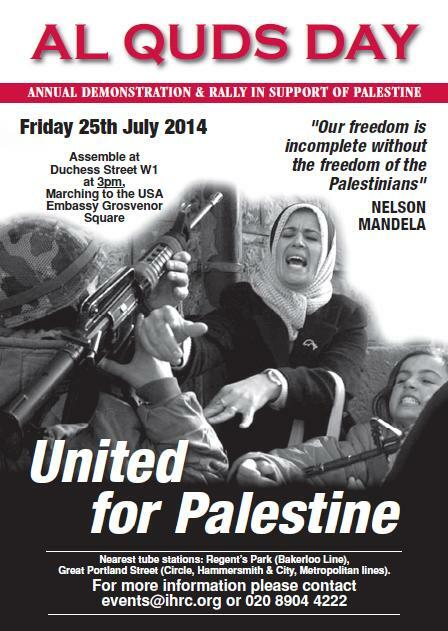 Join the annual Al Quds Day Demonstration organised by the Quds Committee this year on Friday 25 July 2014. As usual, this will be a major national event with thousands of people coming from all over the country to show their solidarity with the people of Palestine and oppressed people everywhere. The theme this year is ‘United for Palestine’, focusing on developing the widest possible unity in relation to one of the greatest injustices in the region.